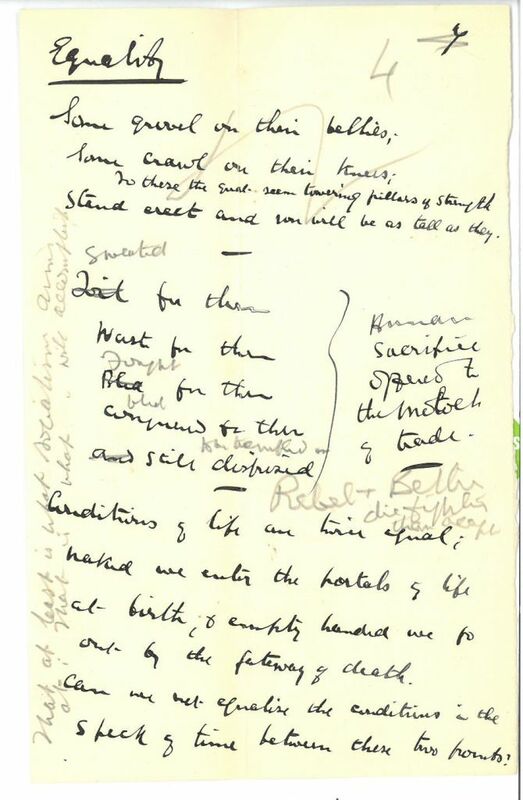 As a volunteer at the People’s History Museum Labour History Archive & Study Centre, I have noticed some unusual imagery while cataloguing the collection of Keir Hardie’s speech notes. James Keir Hardie was born on 15 August 1856 in Lanarkshire, Scotland. Illegitimate, he was the family’s sole wage-earner at age 8, and by age 11 was working in the coal mines. 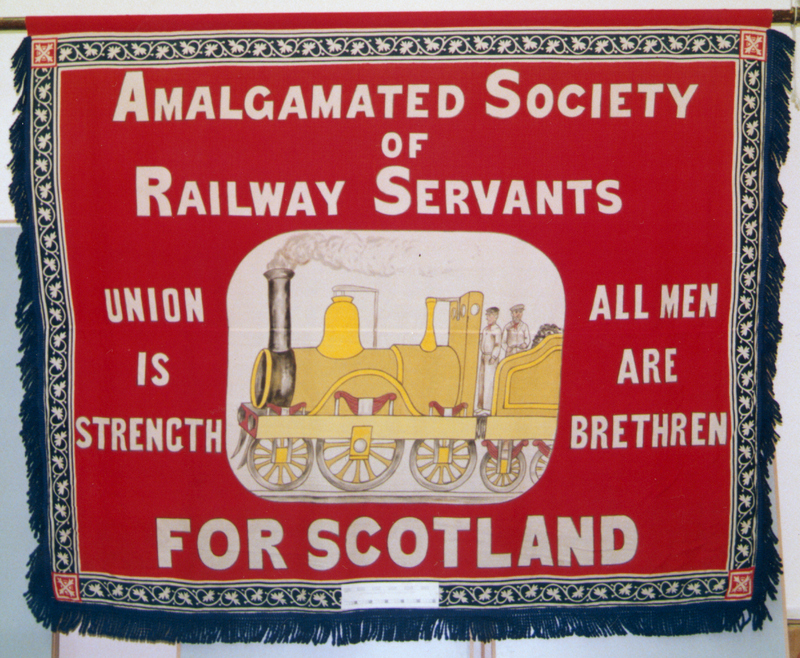 Having taught himself to read and write by age 17 he established a union at his colliery and in 1881 went on strike. In 1892 he stood for election in West Ham, London, as an independent labour candidate and won: on entering Parliament it became clear that he was a radical in dress as well as speech, wearing tweed instead of the usual black frock coat. In 1893, with others, Hardie formed the Independent Labour Party, becoming its Chairman and leader, and going on to form the Labour Representation Committee in 1899. In 1900 Keir Hardie became MP of Merthyr Tydfil, and when the LRC became the Labour Party in 1906 he was elected its leader in the House of Commons, a position which he resigned in 1908. A Women ’s Suffrage supporter and a Pacifist during World War I, Hardie died on 26 September 1915, in Glasgow. He gave many speeches throughout Britain during his political career, and while many of the notes held at the Archive & Study Centre deal with usual political themes; unemployment, finance, and foreign policy, for example; some unusual themes did catch my eye. Allusions to Rabbits, Vampires and Demons seemed unusual, and I am still confused as to their inclusion at points! There are various mentions of “Vampire” or “Vampires” in Hardie’s speech notes. Bram Stoker’s Dracula was published in 1897, and had taken hold of the collective Gothic imagination – yet what had vampires to do with politics? A reference appears in Item KHSN/4 between a mention of elections and the note “no control” – is this a connection? Perhaps a lack of control at elections was likened by Hardie to a vampire after blood? But who is out of control? Unfortunately a detailed answer doesn’t seem to be found in the speech notes available in the collection, though there are a metaphor alluding to labour’s blood being sucked by political parties! Another peculiar theme that caught my eye was the repeated mention of the demon “Moloch”. Often just a prompt, “Moloch” appears in several Series with very little explanation. In Item KHSN/21/1 however the reference is expanded to describe “Human sacrifice [offered? Opened?] to the Moloch of trade”. Some preliminary research revealed that Moloch was a child-eating demon, and this seemed to fit with the metaphor Hardie wished to employ. Though child labour laws were in force by the late nineteenth century, perhaps Hardie was thinking of his own working childhood? This (rather unsavoury) metaphor was further expanded upon in Item KHSN/54/3, when Hardie included a description of Moloch as “a cruel heartless fabled monster who demanded sacrifice of little children to appease his wrath” – this was followed by the damning pronouncement that compared “to modern industrialisation [?] he was a white robed angel of mercy.” This is perhaps explanation for inclusion alone, though I was curious as to where Hardie had heard of such a foul demon. A potential answer came in the form of additional research – the novel Salammbô by Gustave Flaubert. Published in 1862 it was a novel about Carthage, where the god Moloch was offered children as sacrifice, and from which “Moloch” entered a sort of public consciousness. A far more confusing reference, and one which remains so, is Hardie’s mention of “Rabbits”, particularly in Series KHSN/5. It is unclear whether this was a recognisable contemporary political metaphor, or if it was an original metaphor of Hardie’s. The notes that have been left to the Archive & Study Centre do not shed much light on their context or origin. Hardie does mention an essay in KHSN/5, though it is unclear whether it is his own work referenced, or something he has read that has inspired him. Indeed, the prompt “Essay on Rabbit” appears on another fragment, frustratingly with no additional information! 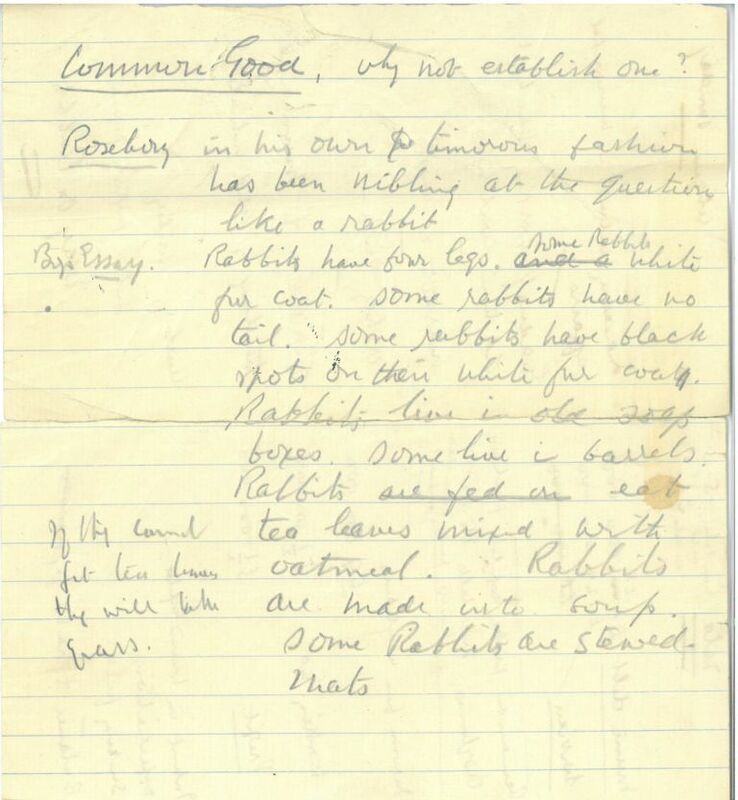 Another note mentions “Rosebury” (most probably Lord Rosebery, Prime Minister 1894-95, and Liberal) and describes him as “nibling [sic] at the question like a rabbit”, and though the “question” is unknown, this perhaps suggests that “Rabbits” were intended to be an insulting allusion. Lists are also included of the physiology, appearance, diet and habitat of rabbits, though I am uncertain to what end! I have noted some of the unusual references found in the Keir Hardie speech notes held at the Labour Archive & Study Centre. Who expects to find Rabbits and Demons and Vampires in amongst unemployment rates, foreign policy comparisons and taxes?! The mystery is only deepened by the lack of answers in the speech notes we have. Yet as odd as they are, I also find them endearingly earnest, though odd in the combination of melodramatic Gothic horror, religious fervour and political discussion. However: one note on the ordinary in an article on the unusual. 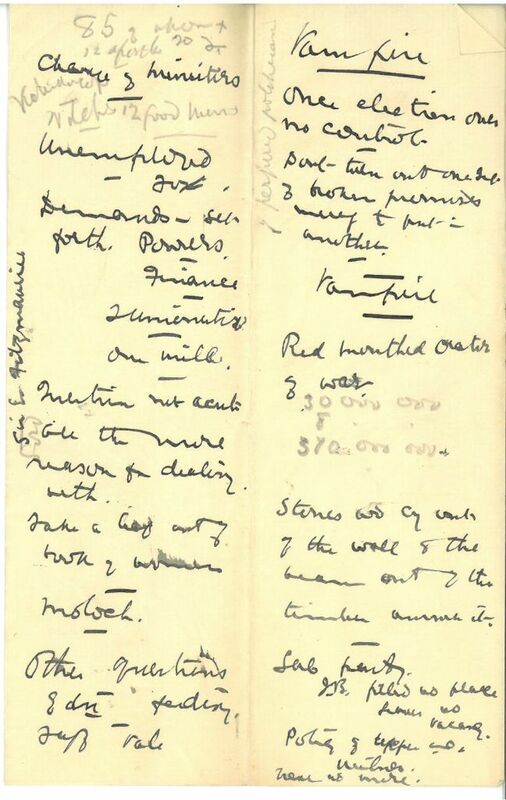 Seven separate Items in this collection include the prompt “Stand Erect”, which one can assume to have been a personal note-to-self by Hardie. It is difficult sometimes to see the person behind the historical political leader and their words. Notes reminding himself to stand up straight when addressing a crowd make Keir Hardie seem real, though perhaps less confusing than his notes on Rabbits and Vampires and Demons do. Sophie Goldsprings into action at the People’s History Museum! 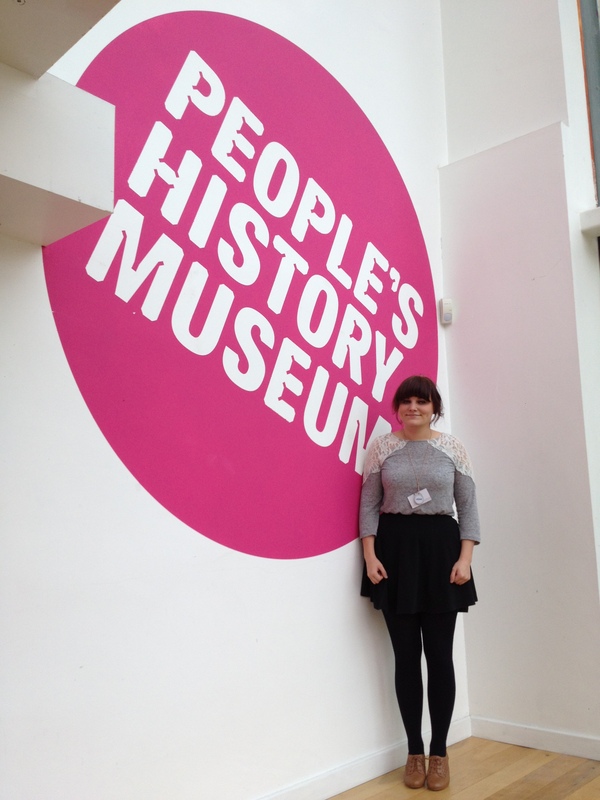 My name is Sophie Goldspring, I’m a third year Politics student at the University of Hull and as part of my final year I have been working for the last three months at the People’s History Museum. I have been working with Chris, Harriet and Josh on the upcoming changing exhibition Election! opening in February next year. Working on the exhibition has meant I have been helping in researching every election since 1900, working with objects from past election campaigns and explaining how UK elections and governments work. As well as the elections of the past, I helped to collect polling data on the upcoming 2015 general election. As well as my work with exhibitions, I worked with the Learning team at the start of Parliament Week. We helped some primary school children learn about Parliament and how it works, and took them for a tour of the museum galleries. As part of Parliament Week, I worked on a self guided quiz based on voting and elections for children, helping them to learn about suffrage throughout the past, including how long it took for all men and women over 18 to finally get to vote in general elections. I have also been working in the Labour History Archive, helping to gather material for the Election! exhibition and one time cataloguing material in the photograph collection. As a politics student, you don’t really get to have experience like this unless you take up an internship and I’m really happy I worked here as part of my final year. Working with PHM has helped me to understand the everyday side of politics, and how normal people have and continue to affect politics today. After three months of writing, researching, editing text and drinking many cups of tea, my internship at the People’s History Museum is coming to an end. This week is my final week here and I have enjoyed every minute of it, helping the museum to engage everyday people with politics both in the upcoming election and the impact of working class movements in the past. As part of an interactive research project we are planning a series of events to take place next March that engage with and explore this extraordinary portrait of Mary Wollstonecraft loaned from the Walker Art Gallery in Liverpool. Wollstonecraft was an early advocator of women’s equal rights and was more broadly engaged with issues of working class struggle in the 18th century. Her life and work saw her travel to Ireland, revolutionary France and across Europe to Scandinavia. She wrote many books, challenged dominant discourse and collaborated with a diverse range of radical thinkers until 10th September 1797 when she died in tragic circumstances, soon after the birth of her second child, Mary Shelley. 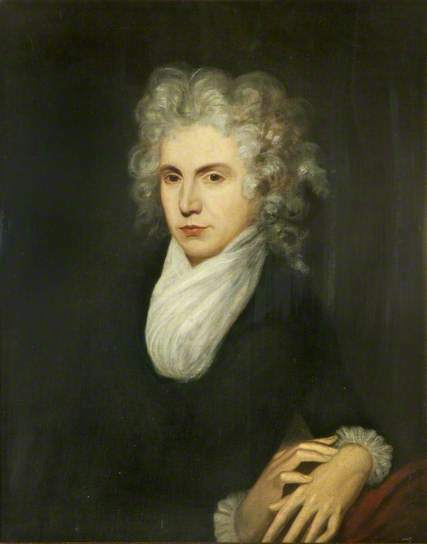 The portrait is one of a few remaining images that remain of Wollstonecraft, although her book Vindication of the Rights of Women survives as a canonical feminist text. Painted in the late 18th century, it depicts Mary as a powerful, asexual woman – unusual for women represented at this time. Rather than soft, ‘beautified’ and passive, Mary stares right back at us in a powdered wig and dressed in the revolutionary style of French intellectuals. Where our archival research aims to uncover more information about the assumed painter, John Williamson, commissioner of the painting, William Roscoe, and what Mary thought about it, the events will create fresh dialogue, art, creative writing and ideas that engage with Wollstonecraft and her work. To be part of Manchester City Council’s International Women’s Day events in Manchester in 2015, the events will tie her work to themes of contemporary feminist debate; race, class, the role of men and issues of representation as well as explore her work’s legacy (or lack of) in other areas of the PHM collection. Keep an eye out on the People’s History Museum website and blog for further details and dates of events in the new year. Videobooth – what qualities do you think a good MP should have? This month’s videobooth asked the question “What qualities do you think a good MP should have?” and we had many responses and opinions about what a good MP should be like. Some have suggested they should be playful and many believe they should be more honest in the everyday duties that MPs do. See our visitors’ answers to more questions on our YouTube channel. We’re members of Manchester City Council Disabled Staff Group and this year we all felt that we would like to make a contribution to UK Disability History Month (UKDHM). UK Disability History Month was established in 2011 to highlight and celebrate disabled people’s history annually in December. This year UKDHM examines the links and social consequences between war and disability. We chose the First World War as our subject partly because an unprecedented number of people became disabled through it and partly because it’s the 100th anniversary of the conflict. 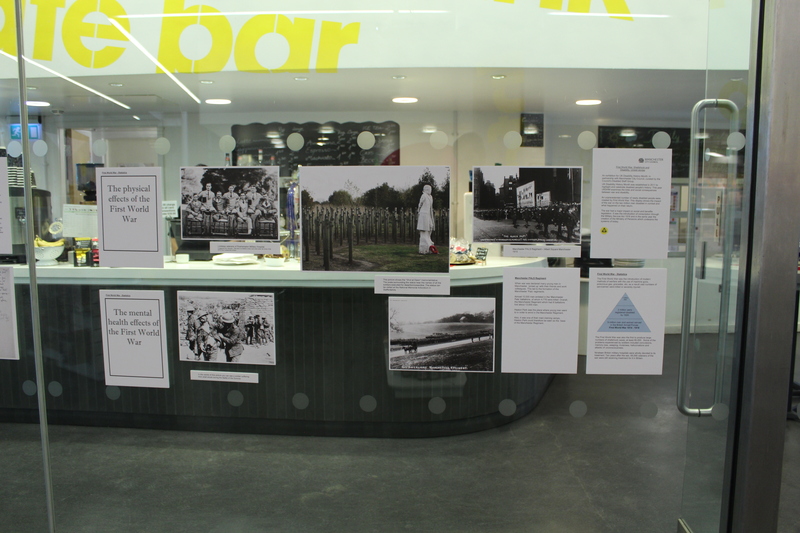 We decided to pull together a series of exhibitions and a learning event, in collaboration with People’s History Museum, Central Library and University of Manchester. 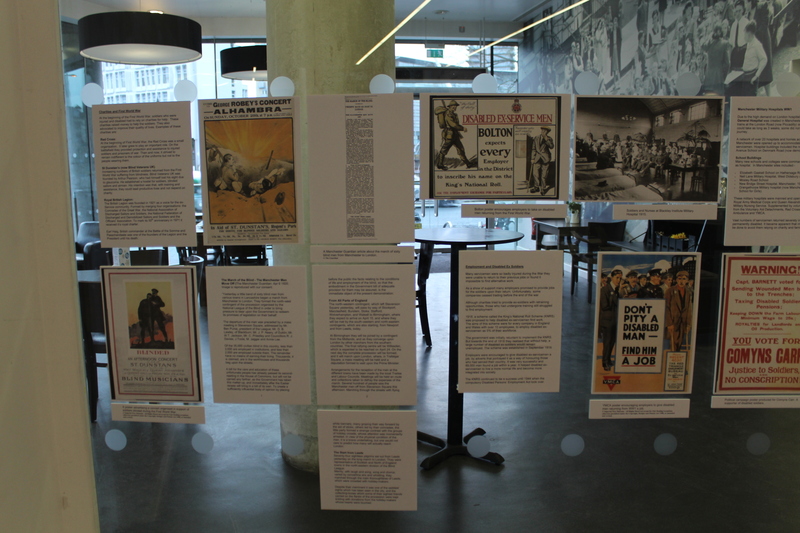 Our aim was to show the impact of the war on the two million men disabled in combat and what happened on their return. The display at PHM illustrates the dramatic effect the First World War had on those who became disabled through taking part in it. Manchester City Council fully endorsed our aims and supported us via the Councils Equality Team and Communication Team. We established a small project group of all disabled employees and decided on an approach: To research 2 subjects, shellshock and physical/sensory disability on soldiers during and after First World War. We researched our subject via sourcing images, documents and facts mainly from National Archive, Imperial War Museum, BBC, local archives in Rusholme, Tameside, Manchester Guardian Newspaper, Manchester Library, People’s History Museum and Oxford Press. Once we’d gathered a lot of images we organised them by subject and gradually the stories we wanted to tell emerged. e.g. that of Lieutenant Eric Poole, one of the 1st British Officers to be shot for desertion, despite medical evidence, provided at his trial that he suffered with shellshock. We decided between us which images we wanted to use and then had to track down and obtain copyright permissions for all of them. This proved quite tricky in some cases but we persevered and were able to use the majority of our choices and at no charge. We then decided how best to display the images and wrote the text to accompany the pictures and help the audience understand the context and background to them. We focused on telling our story of the social justice elements e.g. political, employment legislation, civil rights in keeping with the ethos of the People’s History Museum. 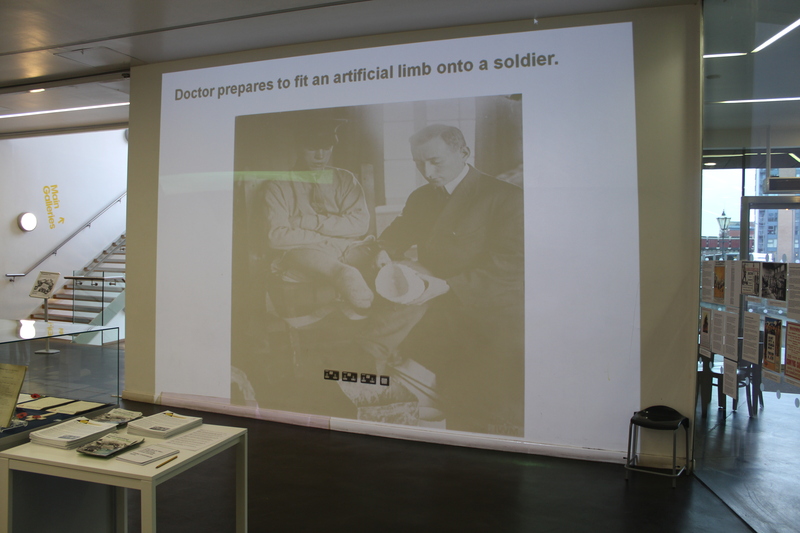 We then put a powerpoint slideshow together using a different set of related images and projected this onto the adjacent wall. 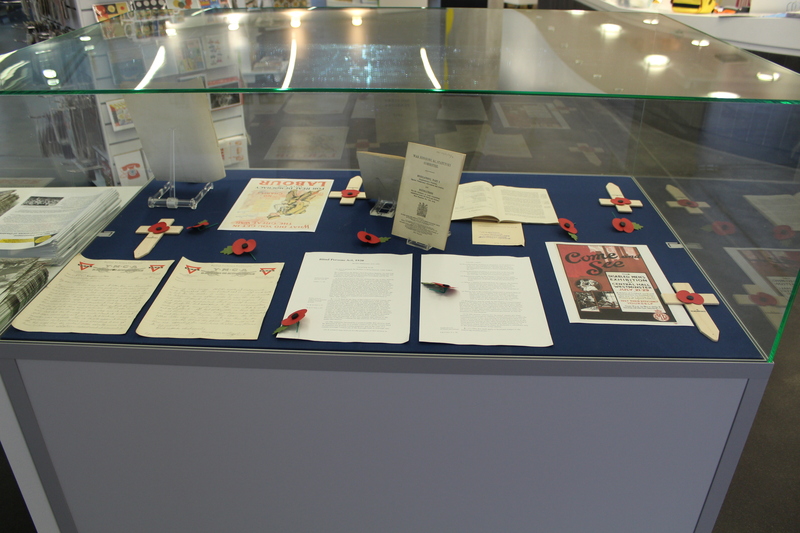 Finally, using documents and papers from PHM own archive we created a display in a cabinet in front of the glass panels decorated with poppies donated by British Legion. PHM printed off all our images and mounted them onto foam boards. We then put these up ourselves with a few tweaks on the day as needed! We enjoyed using our creative sides to plan how to mount the images we found and write text to describe them and tell a story. We would like to acknowledge the great help and advice provided by PHM staff to us. This is the first time any of us had curated or researched an exhibition. We plan to move on to similar but more ambitious projects in future years so this was a valuable exercise for our group. We’ve learnt quite a bit about planning, research, copyright and editing text for publication. 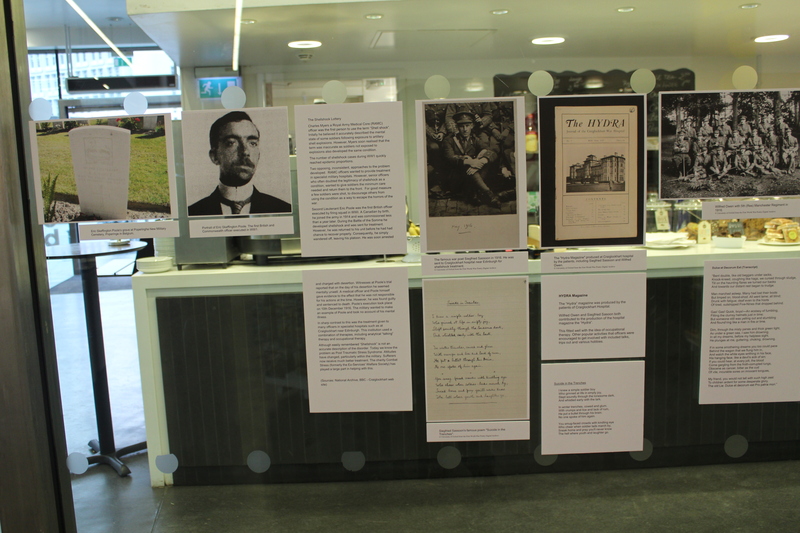 Don’t miss our other display on the image virtual Wall at Manchester Central Library – ground floor, near the café. First World War, Soldiers, Shellshock and Disability. A Manchester Story running throughout December. On 17th December 5-7pm at Central Library, we’ve organised a lecture with Dr Ana Carden-Coyne, a Senior Lecturer in War and Conflict at Manchester University. Dr Ana is a leading disability historian and will deliver a talk as part of this year’s Manchester UKDHM programme. The museum is delighted to be hosting more WEA courses in the spring of 2015. You can find out more about the People Make Their Own History course, in this guest blog from WEA tutor Mark Krantz, who is leading the course. Half the population of Manchester took to the streets in August 1819. They were joined by protesters from the towns of Oldham, Middleton, Stockport and beyond. 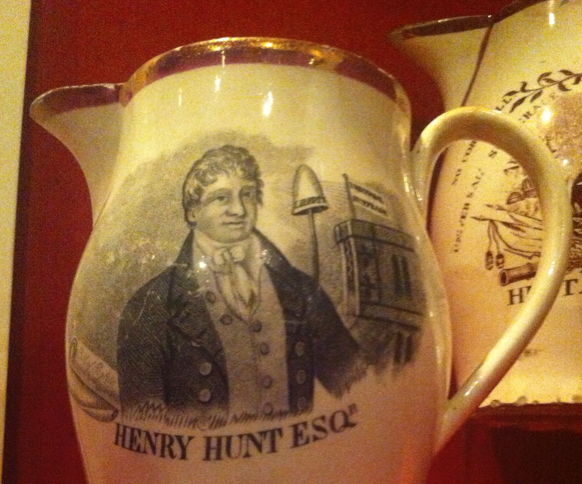 Sixty thousand people came to hear the greatest ‘orator’ in the land, Henry Hunt. Their demands were that towns like Manchester should have a representative in parliament – and that working people should have the vote. They were brutally attacked. Peaceful protesters were cut down by the Yeomanry Guard, armed with sharpened sabres. 18 were killed and over six hundred injured. What became known across the world as the Peterloo Massacre was the first protest movement, the dawn of the working class movement. Those that marched that day ‘made their own history’. Protesters today stand in a long tradition of struggle that started at Peterloo. The ten week course People Make Their Own History is a learning experience from Workers’ Educational Association in association with the People’s History Museum. Actors perform as Living History characters in the PHM galleries to bring people like the Chartist William Cuffay and the Suffragette Hannah Mitchell to life. 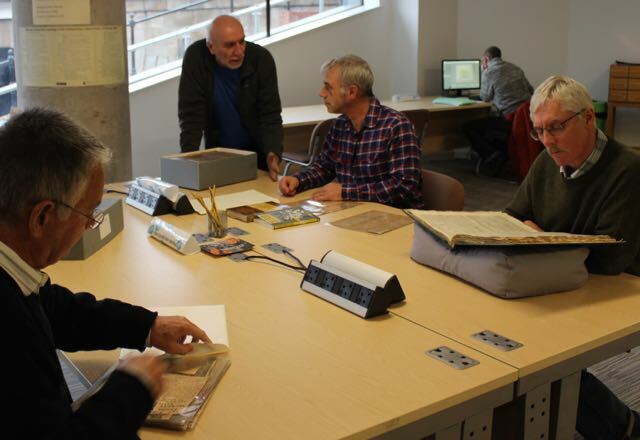 Visits to the Labour History Archive & Study Centre enable students to examine original documents and artefacts. 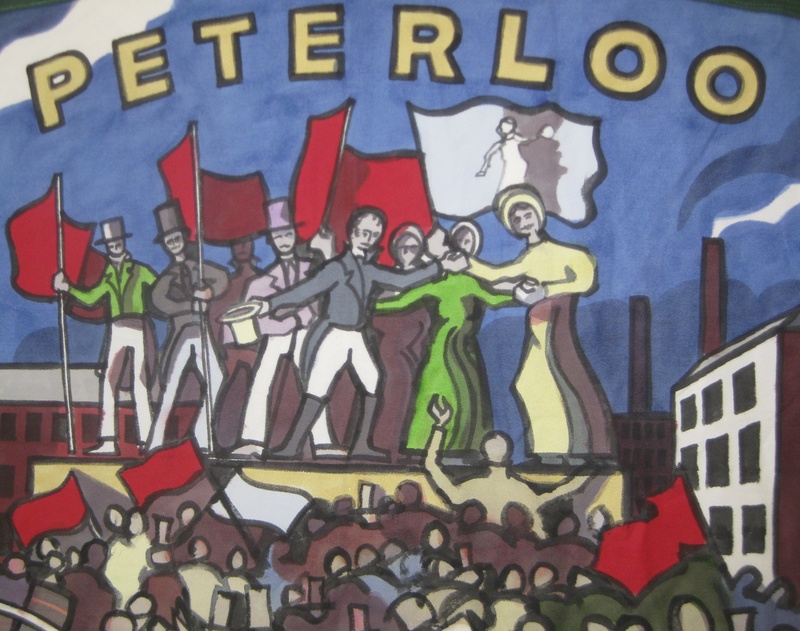 We will cover Peterloo and the Chartists; the struggles over jobs, against Fascism, and for access the countryside in the 1930s; fighting Section 28 and for LGBT rights in the 1980s; to Stop the War, and the struggle against the Bedroom Tax today. You can find more details about the WEA course on the People’s History Museum’s website. To enrol go to the WEA website. This course runs for ten weeks, starting Thursday 15 January 2015, 1.00pm – 3.00pm.